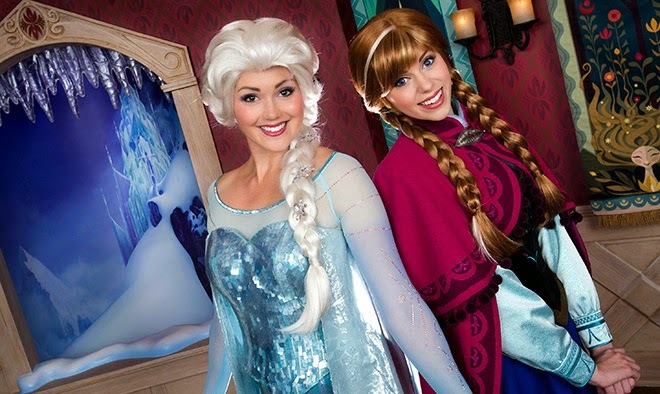 For the first time in forever – but only for a limited time – Frozen Fun, live in Disney California Adventure Park, transports Guests to the most magical place this side of Arendelle! A 2-night/3-day Good Neighbor Resort Vacation package starts at $99* per person, per day for a family of 4. Includes 3-day, 1-Park per Day Disneyland Resort Tickets. For arrivals most nights 2/13-3/25/15. Total package price: $1,179*. *From $99 per person per, per day price based on quad occupancy (2 adults, 1 junior and 1 child [age 3-9], with a Walt Disney Travel Company package, in a standard room at Clarion Hotel Anaheim Resort for 2 nights and 3-Day/1 Park Per Day Disneyland Resort Theme Park Tickets. Valid for most nights 2/13-3/25/15 with travel being completed by 3/27/15. Check for offers associated with longer night stays. Total package price starts at $1,179. Offer subject to availability and Blockout Dates; advance reservations required. Not valid with any other discount or promotion. Subject to restrictions and change without notice. 3-Day/1-Park Per Day Disneyland Resort souvenir tickets expire thirteen (13) days after first use or 1/13/16, whichever occurs first, and each day of use of a ticket constitutes one (1) full day of use. Tickets may not be sold or transferred for commercial purposes. **One card per package; non-transferable and void if sold. ***Must be redeemed at a Disney PhotoPass® Sales Center or one of the following attractions at the Disneyland® Resort: Splash Mountain or Space Mountain at Disneyland® Park, or The Twilight Zone Tower of Terror™, Radiator Springs Racers or California Screamin' at Disney California Adventure® Park. Not valid online. Complimentary photo is for personal use only. Voucher has no cash value, will not be replaced if lost or damaged and may not be transferred for a commercial purpose. Must claim photo within 30 days of the date the photo was taken. Not responsible for missing, lost or damaged photos. May not be combined with other offers or discounts. Separate Theme Park admission required. Subject to restrictions and change without notice. Valid for arrivals through 12/31/15. The Twilight Zone® is a registered trademark of CBS, Inc. and is used with permission pursuant to a license from CBS, Inc. ©Disney/CBS, Inc.